Japan joined a meeting between Thailand and Burma to discuss how to kick-start the Dawei $60 billion mega project in southern Burma. 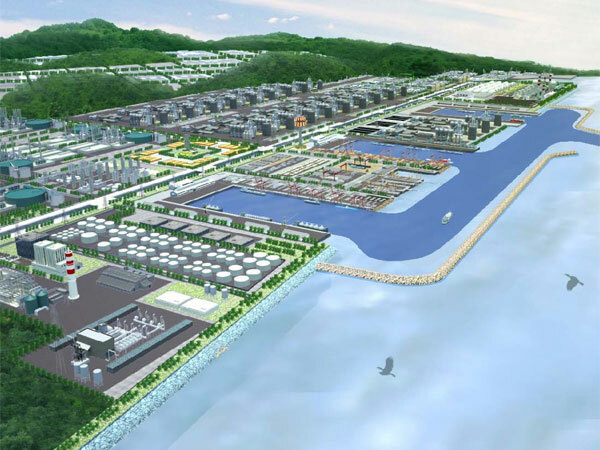 It was the first time the three countries had met to discuss Japan’s role as a potential investor in the massive Dawei project that includes, a deep-sea port, industrial zone, rail and road links to Thailand, power plants and refineries. Despite Japan attending the meeting with Thailand and Burma as a potential partner, Japan is still wanting more information before it decides on its level of involvement as a capital investor. Villagers adversely affected by the The Dawei mega project have been protesting that the huge development project has resulted in land loss, forced displacement, pollution and that there needs to be a number of impact assessment statements carried out before the project gets fully underway. In an interview with Karen News earlier this month villagers spoke of their concerns about the affects of the Dawei project on their lives. Naw Blay Blaw, a Kaw Htee Lor villager from the region explained why he was protesting against it. Villagers protested against the Thai company for not paying them ‘promised compensation’ blocked vehicles from delivering supplies to the $60 billion Dawei project in southern Burma. Back in May 2013 this year the Japanese government confirmed its commitment when Prime Minister, Shinzo Abe, promised “all possible assistance” to launch Burma’s stagnant economy. Japan on Sunday announced a development aid and loan package for Burma worth hundreds of millions of dollars as it boosts trade ties with the fast-changing nation seen as a key regional emerging market. Burma’s President Thein Sein released a joint statement that declared that the two countries would take their relationship to a higher level and identified areas of future cooperation that included up to $500 million in new loans to Burma. As well as wiping out nearly $2 billion of Burma’s debt Japan would assist with a nationwide development investment in roads, electricity and water supplies and development of Thilawa special economic zone near Rangoon. International financial experts said Prime Minister Abe underlined Japan’s commitment to Burma when in May this year he led a delegation of chief executives from his biggest companies including Mitsubishi, Mitsui, Taisei and JGC.